ALBANY – Gov. Andrew Cuomo and his top commissioners braced for lawsuits when they announced plans to ban large-scale hydraulic fracturing in late 2014. HARRISBURG, Pa. – A decision by Pennsylvania’s highest court on Tuesday was hailed as a victory by environmental advocates on the use of public natural resources and money from oil and gas drilling in state forests. Brought originally as a challenge to the state government’s unfettered use of money from drilling in publicly owned forests, the state Supreme Court went farther in its effort to strengthen the hand that environmental considerations play in government decisions. John Dernbach, a professor of environmental law and sustainability at the Widener University Commonwealth Law School, called it a “landmark” decision. 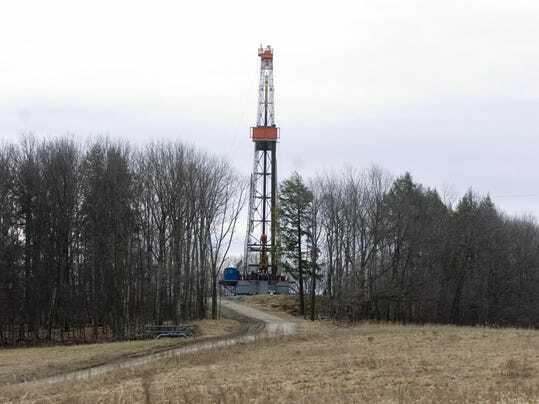 It the second major high court decision won by environmental advocacy groups in challenges that grew out of the Marcellus Shale natural gas boom in Pennsylvania. The biggest victory in the decision is that it cites a 1971 constitutional amendment to require that the state act as a trustee, and not a proprietor, of public natural resources, said John Childe, a lawyer for the nonprofit Pennsylvania Environmental Defense Foundation. That effectively overturns four decades of case law that had weakened what is known as the environmental rights amendment, Childe and others said. Previous article Rocky Flats Made Nukes. Then It Made A Mess. Now It’s About To Become A Public Park. Next article Are Oil, Gas Workers Happy With Their Current Jobs?